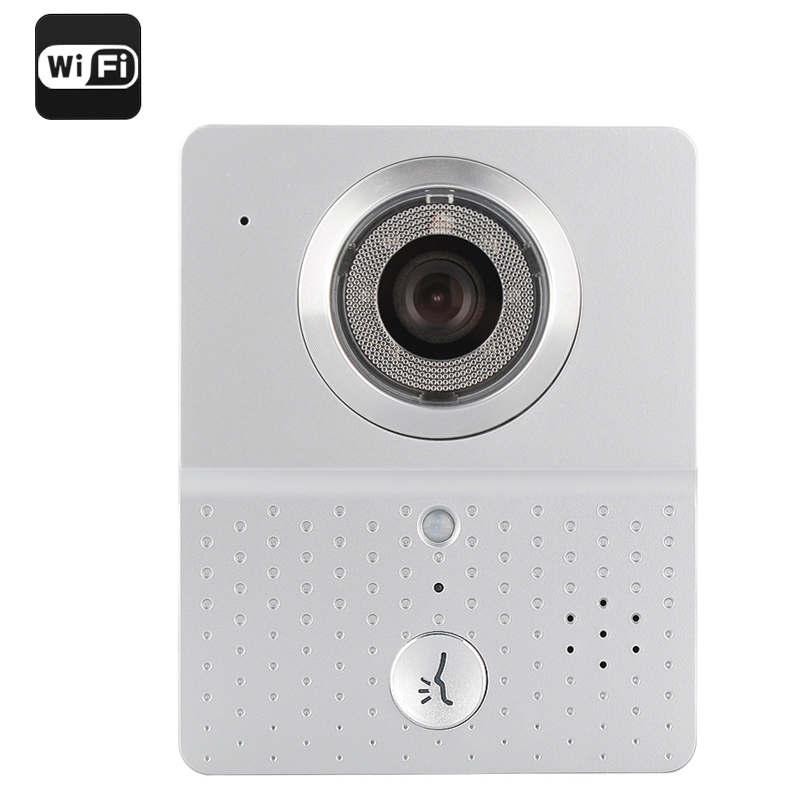 Successfully Added Wi-Fi Video Door Intercom + Door Bell - Night Vision, iOS + Android App, Remote Door Unlock, Motion Detection, Video Recording to your Shopping Cart. This smart Wi-Fi Video Intercom and Doorbell will help you secure your home or business. It operates through a Wi-Fi signal and can easily be connected to your local network and then synced to your smart phone or Tablet PC running Android or iOS. The Smartphone application lets you receive notifications if anyone’s at the door and there are features to set up an alarm or the built in motion detector to alert you of any activity. When visitors press the door bell you will receive an incoming alert on your phone and this will enable you to view the visitor from the camera feed as well as take a photo or recording of the guest. This proactive door monitor keeps a vigilant eye out for anyone coming to your door and can even save a log of those who have visited. With a 2.0 lux night vision with effective 3 to 5 meter range you can be sure that night or day this security device has you covered.